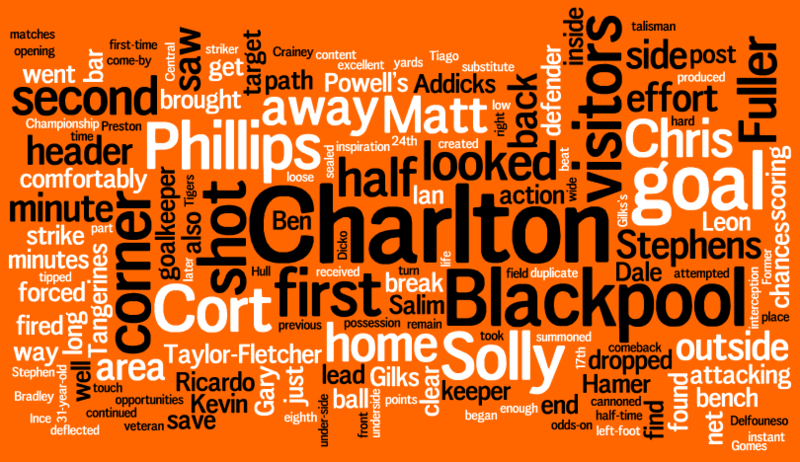 For those who are unfamiliar with how this works, the following is a word cloud based on match reports from the BBC and Blackpool’s official website, displaying words in different sizes according to their frequency. 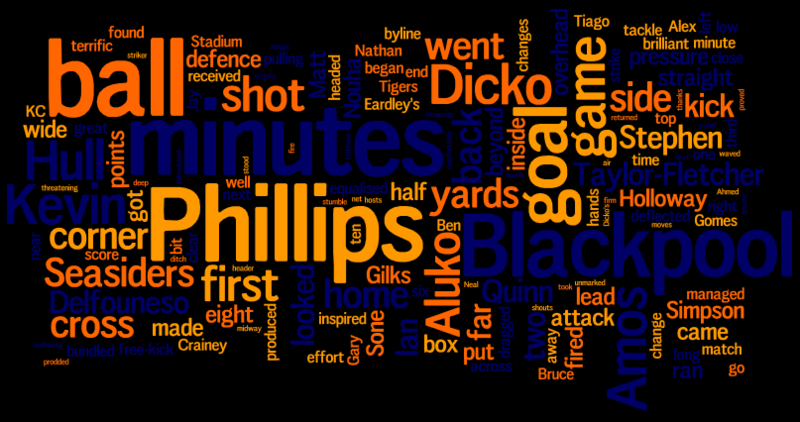 The word cloud has been created using wordle.net. With 10 matches of this season’s Championship campaign now played, it seems a good opportunity to revisit one of the season preview pieces I wrote, which specifically discussed the historical effects of teams winning automatic promotion in this timeframe. How does Blackpool’s record compare to those sides, and should those ‘Pool fans aiming for a top two finish reassess their expectations?